Atul Gawande, a surgeon at Brigham and Women’s Hospital in Boston and professor of surgery and public health at Harvard. His latest book is entitled: Being Mortal: Illness, Medicine and What Matters in the End. In a recent interview with surgeon Atul Gawande, he admits that medicine has its priorities wrong in the way it treats patients in end-stage care. Gawande states “I never felt I had good answers for people who were facing death; when do we push ahead with treatments and when do we not? It wasn’t until I connected with experts working in palliative care that I began to gain a sense of how you can unravel these problems.” He notes that the biggest struggle with his nursing home patients is with things being taken away from them in the name of health and safety. As an example he sites Alzheimer’s patients who are desperate for a cookie, but are given only pureed food for fear of them choking. In the name of health, their lives are impoverished. The medical focus on health and safety ignores what individuals might regard as their most important priorities. A cookie can sometimes go a long way in restoring a sense of well-being. Gawande sees the medicalization of death as an experiment that is failing on multiple levels. One is the enormous suffering people in old-age homes and intensive care units go through. Another is the fact that to medical personnel, you are a stranger when you enter one of these institutions. The most important thing about you is what’s wrong with your physical condition, your disease, your disorders, your mental or physical disabilities. Gawande has come to the conclusion that when a terminally ill person is faced with difficult decisions, such as whether to go through with an operation or not, whether to continue chemotherapy or not, that medical caregivers, family, and, when possible, the patient need to have “powerful conversations” about what well-being means to that person. He says that doctors need to “Ask those questions, hear [the patient’s] answers, use them to make plans, and then understand that they will change and you will have to ask the questions again in a few weeks.” Although a patient may not be in any condition to answer more than one of those questions, it would still be a lot more than doctors offer now. Gawande is not in favor of assisted dying because the “goal shouldn’t be to have a good death but to have as good a life as possible, all the way to the end…[I]t troubles me that we have focused on assisted dying without having figured out assisted living well.” This is a surprisingly good point, in my opinion. When asked what he would choose were he in a terminal condition, he discriminates between afflictions of the body and the brain. “Right now, I’d say that if my body went I would still want to be alive, but if my brain went, let me go.” He does recognize that as death draws nearer, his decisions will undoubtedly change. It is his championing of ongoing decision-making processes and reevaluations that is truly reformist in medical thinking as well as his consideration of what is psychologically important to each individual patient, regardless of whether or not a patient’s need is healthy or safe according to current medical standards. 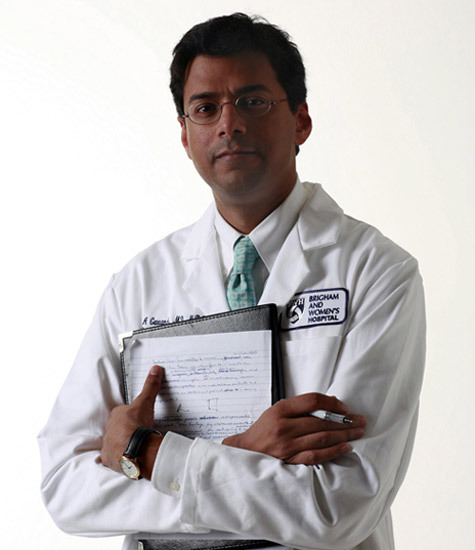 Gawande is an Ivy-League mainstream physician who is calling for a difference in end-stage treatment. Hopefully, in the near future medical teams will learn to treat the terminally ill, not as diseases and failures, but as human beings.